Continuing care retirement communities (CCRCs) are multi-level care facilities that combine residential accommodations with health services for older adults. The goal of a CCRC is to allow residents to receive the appropriate level of care across a continuum, from independent living to assisted living to skilled nursing care, as their health status changes and without having to move out of the retirement community. Because these communities provide multiple levels of care in one facility, they’re considered the “one-stop shopping” of the retirement world and ensure your loved one is cared for through the end of their life. This makes them a good choice for single adults and for couples who wish to remain near each other should one become ill and require more care than the other. CCRCs have entrance restrictions that normally specify a minimum age and level of health for incoming residents. The minimum age requirement is 62 due to the Housing for Older Persons Act, and communities generally expect residents to move in when they’re still healthy enough to live independently. CCRCs offer a variety of rooms and apartments in a campus-like or urban high-rise setting for independent or assisted living and a separate wing for short-term or long-term skilled nursing care. This biggest benefit of these types of communities is residents can remain in the community, even if their health care needs change. Residents in independent or assisted living housing can move to the skilled nursing wing to receive short-term care following a serious illness or injury and then return to their room or apartment once they recover. As residents age and their health care needs increase, they can also move to a skilled nursing unit permanently to receive long-term, end-of-life care without having to move out of the community. While CCRCs are sometimes called Life Care Communities, they aren’t the same. Life care is actually a subset of continuing care available through one of three types of continuing care contracts offered at a CCRC. In general, there are three types of contracts offered at CCRCs, and an easy way to distinguish between a CCRC and a life care community is by the contract type. Type A contracts provide extensive or full life care service. Type B contracts provide modified or continuing care service. Type C contracts are fee-for-service arrangements that provide continuing care service. Type A contracts are the most comprehensive and cover residential services, amenities and long-term nursing care without an increase in monthly fees. Type B and C contracts both cover residential services and amenities but limit nursing care with extra fees often required. Life care communities are simply CCRCs operating under Type A contracts but with one distinct difference. Like standard CCRCs, a life care community offers continuum of care to a resident for life, but residents who become financially unable to pay their monthly care fees are subsidized by the community. Residents continue to receive the same access to services with no interruption in care or change in priority status. In other words, residents are guaranteed the same quality of care and access to care from day one through end of life, regardless of their personal financial situation. Whether a CCRC is strictly a life care community or offers all three types of contracts, most of them have independent living housing, assisted living housing and a skilled nursing facility to provide three distinct levels of care (see below). This is the lowest level of care and where residents usually start out while they’re still active and able to live independently. In the independent living area of a CCRC, your loved one can expect to find apartments with a full kitchen and standard amenities. Many CCRCs will also provide healthful, flavorful meals in a nice dining room and a variety of highly engaging social outings, classes, cultural events and other activities that cater to active adults. This level of care is provided as your loved one begins to need assistance with activities of daily living. On this level, CCRC caregivers provide care similar to what you’d receive in any assisted living community, which includes reminding your loved ones to take medications and helping them with dressing, walking, grooming, toileting, bathing and other activities of daily living. To receive this additional level of support, your loved one may be asked to move to a new apartment within the community. This is the highest level of care provided in a CCRC and may be offered on a short-term or long-term basis based on your loved ones needs. It’s common for aging seniors to experience a health emergency, such as a fall, broken bone, heart attack or serious illness, that requires acute care. Should your loved one experience an acute care need, unlike assisted living communities, a CCRC can provide care on-site. Your loved one is moved to the CCRC’s skilled nursing wing until sufficiently recovered, and then they move back to their assisted or independent living apartment. Residents who require chronic or end-of-life care are permanently moved to the skilled nursing wing. Most CCRCs provide 24/7 security service and an emergency call system to all residents, no matter where they reside. Many also provide convenient access to numerous services and amenities residents want or need. The costs for most of these services are included in the monthly fees paid under the resident’s contract— except for Type C contracts, which may require additional fees for certain services. Who Should Consider a CCRC? CCRCs are a good option for older adults who value security. No matter how your loved one’s health changes down the line, their needs will be met and they’ll never have to move. That can bring both of you tremendous peace of mind. A CCRC can also be an ideal choice if you’ve noticed your loved one is becoming socially isolated as they age and you know they would welcome an opportunity to make new friends and participate in group activities. On the other hand, if your loved one values independence over security, continuing care may not be the best option for them. Joining a CCRC requires residents to hand over a large chunk of their assets to secure a spot, which they might not be prepared to do. Furthermore, CCRC administrators will play a big role in deciding when your loved one needs to move from one level of care to the next. Your loved one might dislike, or even feel threatened by, having the decision to move from independent living to assisted living taken out of their hands and giving a “stranger” that kind of control over their life. 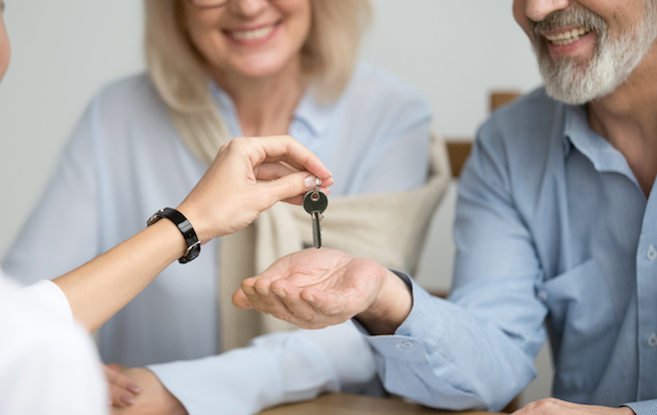 Even if you’re loved one isn’t quite ready to move out of their home, taking the time to find out what’s available in their community helps them get prepared for a future move that ideally should enhance their future. You should also encourage them to take a long, serious look at whether a CCRC is right for them before an unforeseen health crisis forces them to make a quick decision that might not be as ideal as they’d like. While you help your loved one with their continuing care decision, consider these five signs it’s time to earnestly look for a CCRC. If you’re reading this, it’s a good indication that it might be time to look for a CCRC. Finding the right CCRC takes time, so it’s best to start thinking about it early. “If you have to choose one quickly, your first choice is not going to be available,” advises geriatrician Theodore T. Suh, MD, PhD, on staff with the University of Michigan Geriatrics Center. The time to begin your search is now. Start by finding out what is available in your community. You’re more likely to have a better experience if you move in early. “The people who do best are the ones who can move in early and age in place. What that means is they tend to be able to live in that environment for longer because they are so used to the environment that they can manage it much better,” says Barbara Resnick, PhD, CRNP, professor of gerontology at the University of Maryland School of Nursing and staff member at Roland Park Place, a CCRC in Baltimore. Perhaps your loved one is in good health overall and still active, but shoveling snow, raking leaves and cleaning the house are a drain on them. They shouldn’t wait until these tasks become completely impossible for them to do. National estimates suggest the average age of CCRC residents is 80, with age at entry only slightly lower than this. Social isolation and loneliness are threats to your loved one’s long-term health. A CCRC gives them their own private living space, but it also provides plenty of opportunities to meet new people, participate in activities and have company during meals and other daily events. Choosing a CCRC makes it less likely that your loved one will have to move every time they need to change their housing or level of care. 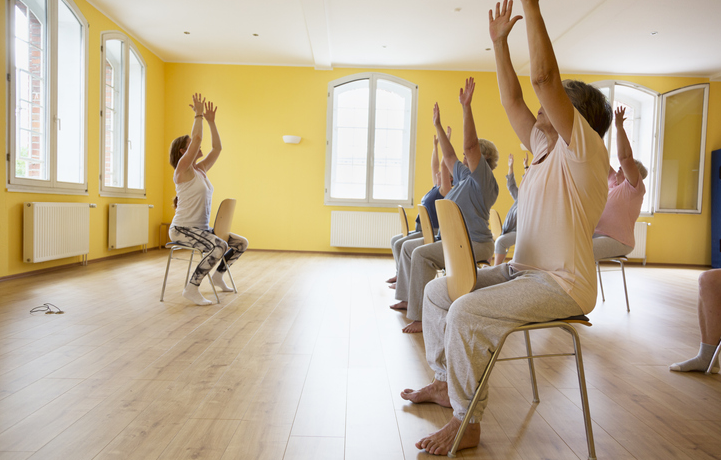 “You want to minimize the number of times a frail older adult has to move,” says Dr. Suh. Even though your loved one might have to move to another apartment in assisted living or a skilled nursing room as they age, they will still be in the same community with which they have become familiar. This can provide the stability they crave. Any small injury or fall can derail your loved one’s plan to age in place at home. A CCRC provides numerous safety checks, and CCRC staff members regularly check on residents to make sure they’re healthy and safe. Plus, residents can call for help at any hour with an easily accessible emergency call system manned 24/7. Having staff support whenever it’s needed is very reassuring to an aging senior’s grown children and grandchildren, especially for those who live quite a distance away or wouldn’t be immediately available to help a loved one should a serious fall or sudden sickness occurs. Many of the most desirable CCRCs have long wait lists. Your loved one should expect to spend between six months to two years on a wait list for high-quality CCRCs. However, this wait time may be well spent getting ready for the move. They’ll likely need most of this time to downsize, managing the emotional and logistical challenges of deciding what to keep, give away or store. 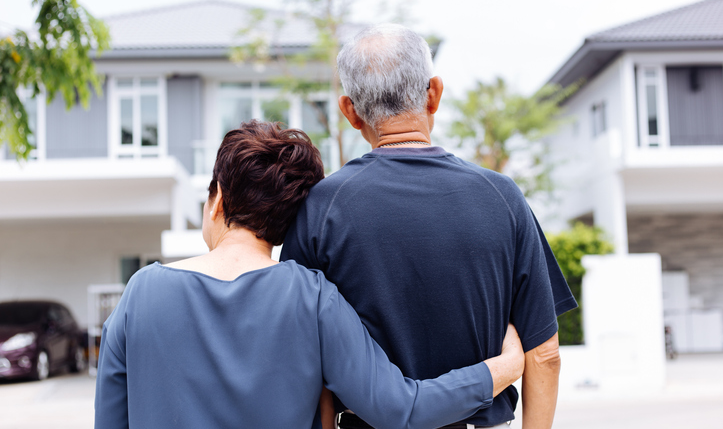 Continuing care is an expensive option, but if your loved one can afford it, they can be confident that once they move in, their needs will be met for the rest of their life. The actual cost for continuing care varies widely from one CCRC to another, and so do payment arrangements, which can be complex. In most cases, new CCRC residents pay a significant entrance fee up front. In some CCRCs, residents purchase the unit they move into, but in others, they just rent it. Either way, the upfront entrance fee, sometimes called an upfront deposit, may be between $20,000 and $550,000 but could be even more at higher-end facilities or in certain parts of the country. Entrance fees may be nonrefundable, refundable on a declining basis over time, partially refundable or fully refundable, depending on the CCRC’s policy. Residents also pay a monthly service fee for the duration of their residence. This amount varies by community and is based on the size of the housing unit your loved one chooses, level of care required and type of contract purchased. Monthly fees can be between $500 and $4,000, and some communities charge extra for additional services. The biggest determinant of monthly fees is the contract type. While all three types of contracts cover housing, meals, services and amenities, the amount of medical care included greatly varies. These are the most expensive types of CCRC contracts, but residents assume the least amount of risk. A Type A contract provides unlimited access to long-term nursing care at little to no additional cost. Barring periodic increases due to inflation, the monthly fee on these contracts should never increase as the resident moves from one level of care to the next. Type A contracts are ideal for anyone who wants to ensure all their health care needs will be covered for the remainder of their lifetime. These contracts cost slightly less but specify the amount of medical care to be provided. Access to long-term health care and nursing services is restricted to a specified number of days. Once this predetermined amount of days is used up, the resident must pay for any further care required on a daily or monthly basis. While Type B contracts offer a lower monthly rate initially, overall cost can start to add up later in life if major health issues occur. Type B contracts are ideal for people who can afford to pay any additional cost for care not covered by their contract or those who don’t expect their health care needs to increase significantly over time. These are the least expensive option when it comes to monthly fees; however, they can cost much more in the long run. A Type C contract is a fee-for-service contract, which means they usually cover very little, if any, medical care. Although many Type C contracts will cover emergency care, and some may even cover short-term care, none of them cover long-term care. Residents often pay for care as it’s needed, which includes a pricey daily rate should long-term skilled nursing care become necessary. 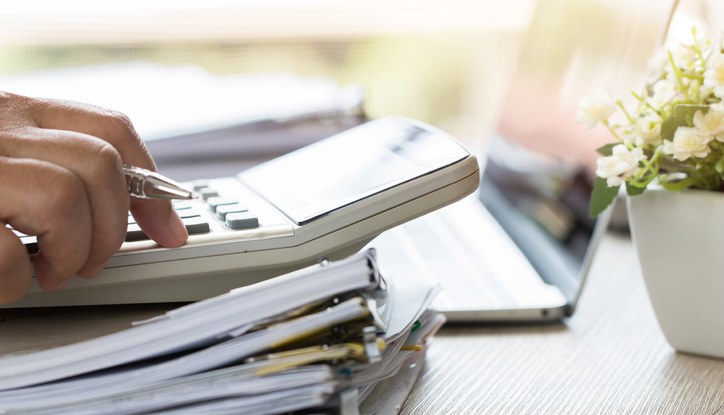 Some CCRCs waive the entrance fee when purchasing a Type C contract, which saves on upfront cost, but medical costs can quickly eat up the amount saved. These contracts are only good for people willing and financially able to assume the full risk of their future health care costs. 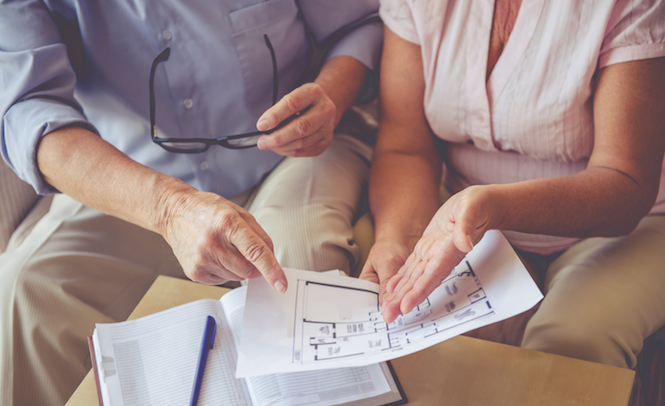 It’s very important that you and your loved one read and understand the continuing care contract you choose because a CCRC represents both a long-term commitment and a significant financial investment. CCRC contracts are long, detailed and complex. It’s in everyone’s best interest to contact an elder law attorney to go over the contract with you. Part of the contract will cover how your loved one will pay for CCRC fees. The level of care required and where they will reside factor into payment options. Assisted living cannot be paid for through Medicare, Medigap or Managed Care, but skilled nursing can be. Some long-term care insurance policies and Veteran’s Benefits will cover assisted living and skilled nursing expenses. Medicaid will pay for skilled nursing, and in some states, it will also pay for assisted living, but few facilities accept Medicaid. The only option for independent living is private payment. While researching CCRCs, be sure to ask about the types of payments they accept. Start your search for the right CCRC by typing your ZIP code into the Caring.com Continuing Care Retirement Directory at the top of this page or click on a city below to find communities in your area. Be sure to look for and read ratings and reviews from other family caregivers. Once you’ve narrowed down a list of CCRCs to consider, make sure to call the communities to schedule tours.